Back in January 2017 I reviewed the Rebel Classic, a quartz chronograph that I really admire. 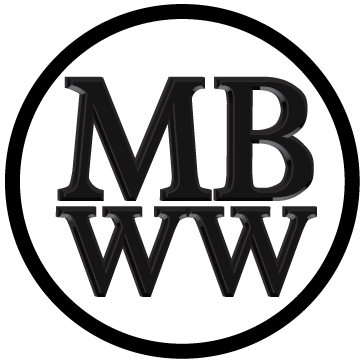 Please check my review for further information about the company. Right now they are offering two watch lines, the Classic Chronograph and the Aviator Chronograph. 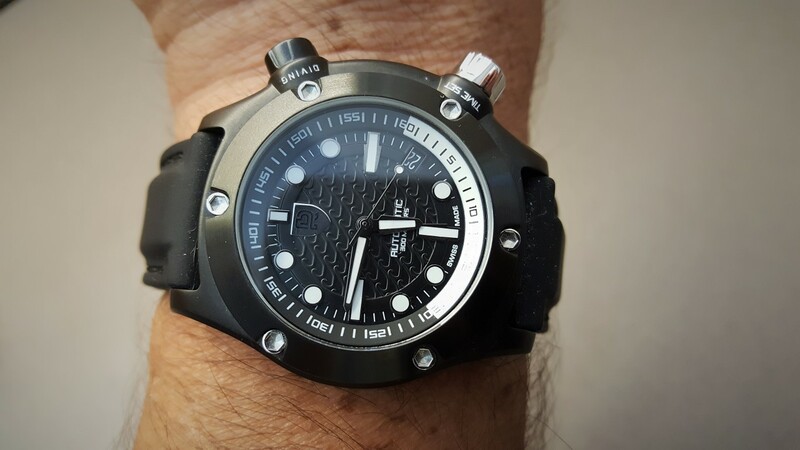 Soon they will be offering their first dive watch, called the Rebel Aquafin. I have a prototype of the watch with me and from what I have found this watch has a very promising future. 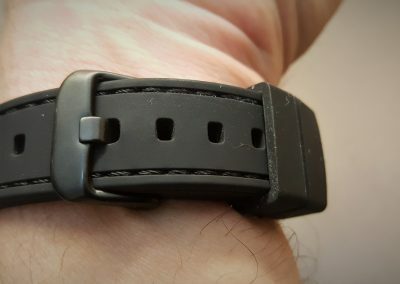 The watch is currently offered on Kickstarter. What really stands out immediately is the watch is assembled in Switzerland and meets the requirements for being Swiss Made. This means that at least 60% of the cost of the watch is Swiss. This is what we know for sure. 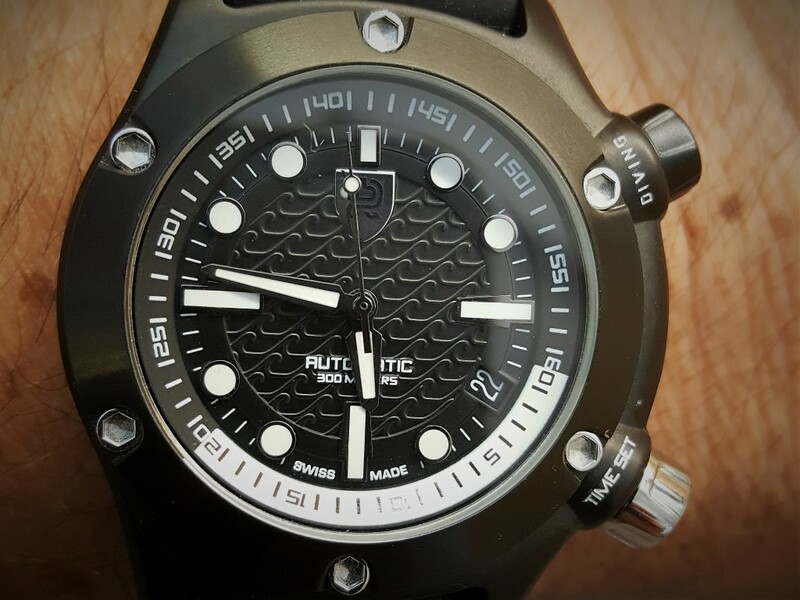 The watch is powered by a Selitta SW-200, an automatic movement that is a clone of the famous ETA 2824-2. The Selitta has been in production for at least ten years and I understand that it’s parts will interchange with the ETA. The big advantage to using the ETA movement is availability. Watch companies that otherwise would not be able to obtain ETA movements are in many cases using the Selitta. The Selitta SW-200 is 26 jewels, runs at 28,800 vph and has a 38 hour power reserve. It is considered an equal to the ETA and appears to be typically accurate to within 4 seconds a day or better. Nothing to sneeze at here! 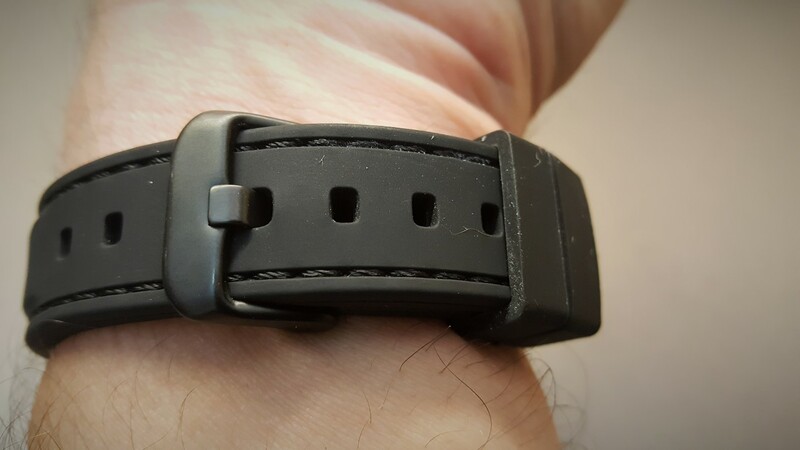 The prototype is 41 mm and I have been told the production model will be 42.5 mm, a perfect size in my opinion. 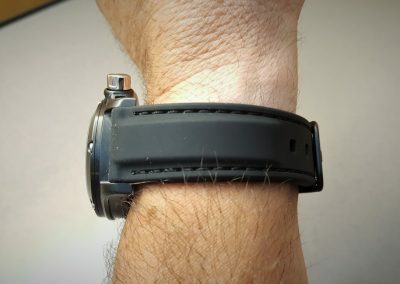 Because there are changes coming to the production watch, I don’t consider this a review but more of a preview. 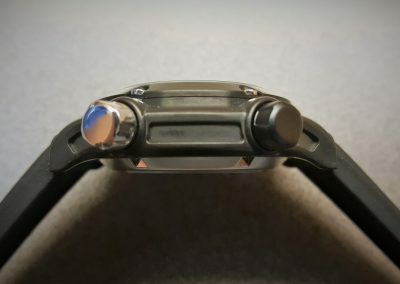 The watch will have 300 meter W/R or 30 ATM, with a screw down crown and back. 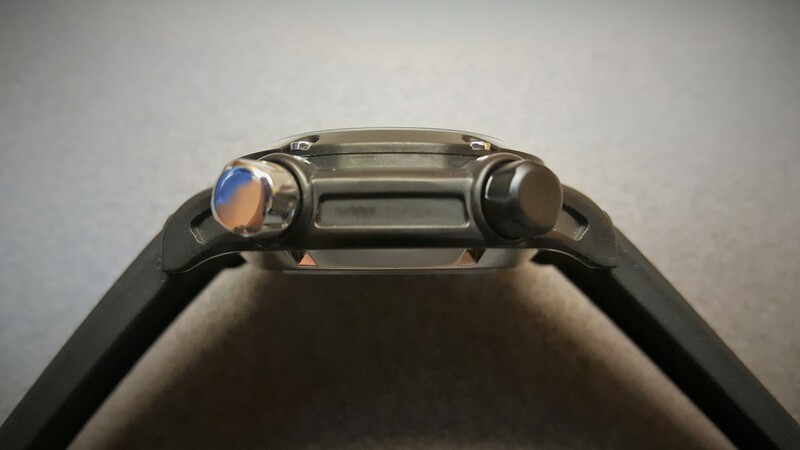 The front of the watch will have a domed sapphire crystal with an A/R coating on the outside of the crystal. The back of the watch will have a sapphire exhibition crystal and the polished back will be engraved. Information on the back will show the watch’s number and that it is one of a Limited Edition of 350 pieces. The movement’s rotor will be etched with the Rebel logo as well. The six tiny socket head screws on the bezel are real (not just for show!). The interestingly sculpted 316L case will be PVD finished and the curved lugs are nice and short. The watch has two crowns, one at 2 o’clock and one at 4 o’clock. The 2 o’clock crown operates the internal rotating dive bezel and the 4 o’clock crown sets the time and date. 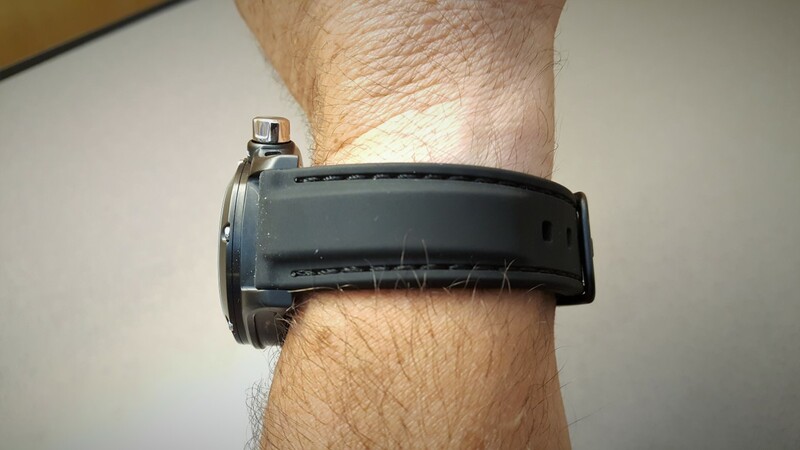 Internal rotating dive bezels are not common but they make a lot of sense. 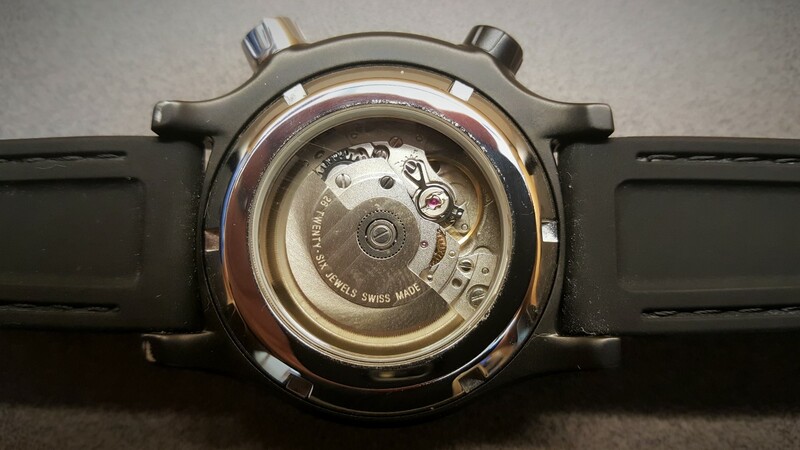 Using the screw down 2 o’clock crown, it is virtually impossible to accidentally rotate this type of bezel. The 4 o’clock date window with be white on black as shown. I’ve been told that both of the crowns will be very similar to those on the IWC Aquatimer, model IW376804, with additional grooves for a sure grip. The dial, hands and the internal rotating bezel will be in Swiss Super-Luminova. The face, besides being larger than the prototype, will include a smaller 12 o’clock logo. There is an interesting wave pattern on the face as well. Other color choices, besides white, include red and yellow and can be seen on the website.